Legend of Zelda producer Eiji Aonuma has never been one to dodge bullets and shy away from the tough questions of his rabid fans. It's hard carrying the weight of one of gaming's most iconic series on your shoulders and remaining sane. The man is made of pure iron, I think. In taking fan questions on Nintendo's Facebook page today, Aonuma finally gave some clues into what could possibly be hints of the long requested Majora's Mask remake. The only problem is, you'll have to play A Link Between Worlds to find it. "Oh, one more thing. 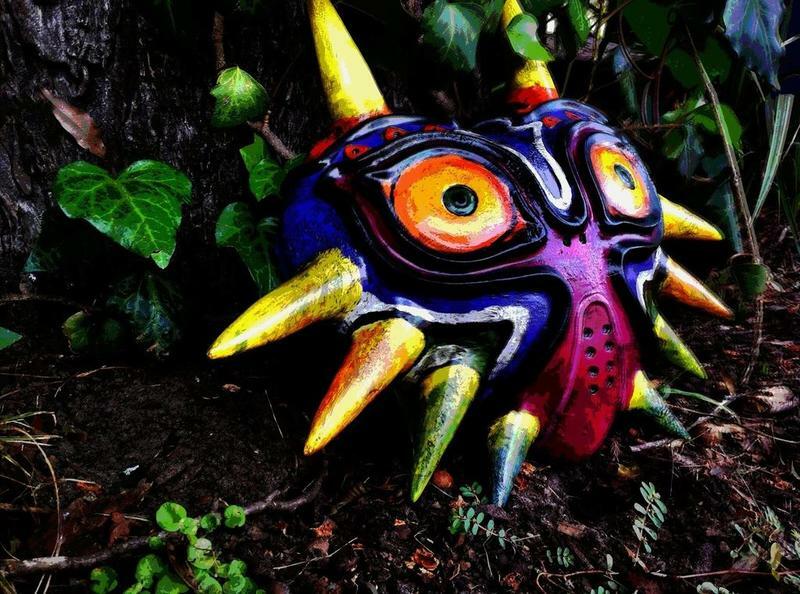 I see many of you have been asking about a remake of Majora's Mask for Nintendo 3DS. It's nice to see such a strong response to this title and we haven't forgotten about Link's adventures in that world. If you play A Link Between Worlds, you may better understand what I mean by that." Could it be a sales pitch to lure more fans into buying the upcoming 3DS adventure? I doubt it, because Legend of Zelda fans are going to buy it anyway. My guess is that Aonuma has genuinely hinted about a remake hidden within the world of his latest game because this is too big of a tease. The wrath of Nintendo fans would come back to haunt him at this point if it doesn't happen. Of course, who could forget the whole Metroid Dread fiasco though? Treasure hunters! Get ready to start digging every corner of Hyrule in search of this gem of information. Legend of Zelda: A Link Between Worlds will release on Nov. 22 for the Nintendo 3DS.